The new season of Queer Eye will be even queerer than ever! The Fab Five are experts at giving men life and style advice, but in the upcoming third season of the popular Netflix reality show, the Queer Eye guys will be doing their first lesbian makeover! "We have our first lesbian on the show this year," Queer Eye's style genius Tan France told Hasan Minhaj while the two were shopping together in a video promoting Minhaj's new show Patriot Act, which is also on Netflix. "And she’s formidable. What we do with her, I think you’re gonna love it." We don't know much else about the third season of Queer Eye, but making the effort to include queer women on the show is a step in the right direction! She's in stylish, capable hands, that's for sure! 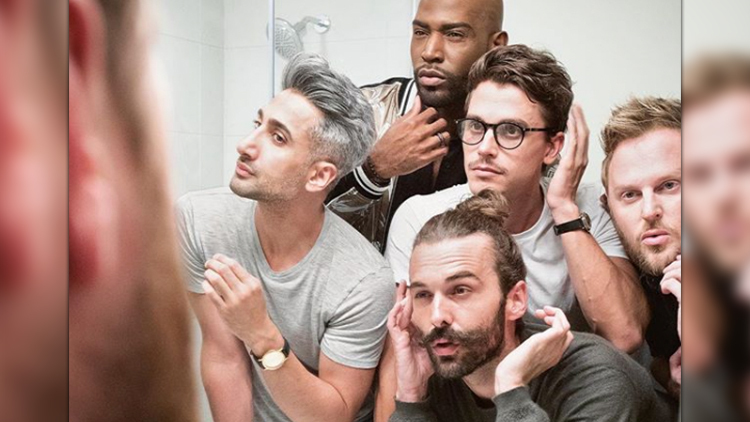 In the mean time, binge watch the first two season of Queer Eye here.